(MODESTO, CA)—The Modesto Junior College Speech and Debate team continued their winning streak this past weekend bringing home both First Place Individual Events Sweepstakes and First Place Overall Sweepstakes awards. 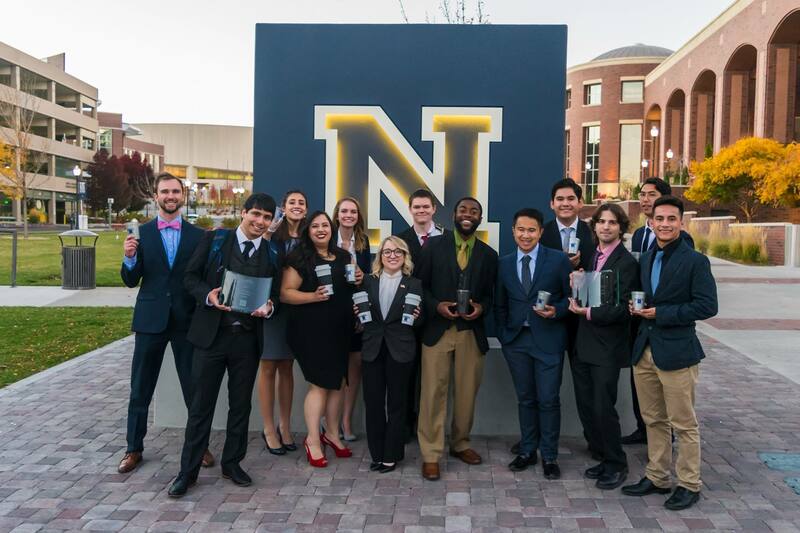 The event, held in Reno, NV, was MJC’s third tournament of the season.Fourteen MJC students competed in debate, platform speaking, oral interpretation and limited preparation events, bringing home nineteen awards. Individual competitors earn sweepstakes points when they break into final rounds, and MJC accumulated enough points at this tournament to win the top team award. The students earned medals in limited-preparation events, which include impromptu speaking. In the open division Kaylee Inman won first place. In the novice division Victor Lumidao and Sabrinna Gonzales took finalist awards. The students earned awards in platform events with memorized speeches in persuasive, informative, communication analysis and after dinner speaking. In open persuasion Gonzales won second place, Jordain Johnson took third place, and Cristian Vasquez was a finalist. In open after dinner speaking Austin Castro was a finalist. Bailey Coleman won first place in both open informative and communication analysis. MJC competitors won awards in oral interpretation events, including Inman, who took a finalist award in open programmed oral interpretation and Justin Dolenar who was a finalist in open poetry. MJC students also demonstrated their skills in parliamentary debate, including Sean Cox-Marcellin and Abel Zambrano who earned quarterfinalist awards in open, and Ryan Teese and Vasquez who took octofinalist awards in novice. Students are also recognized for high speaker points separate from their win-loss record. Vasquez earned the second place novice speaker award. MJC’s overall success culminated in enough points to earn the top awards in both individual events and overall sweepstakes. On November 3-5, MJC Speech and Debate will travel to Stockton for another round of competition. For more information about the team including travel schedule and results, visit www.MJCForensics.org or contact Guy at guyr@mjc.edu or (209) 575-6110. Note: A photo is attached for media use.